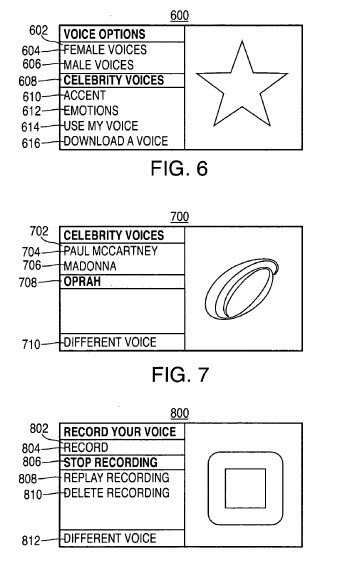 This patent describes the ways to alter the voice output from the iPhone, such as the playback of audio files. 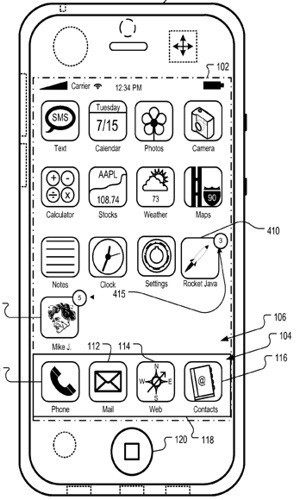 Most would think this would be used for reading text from an eBook, but the patent suggests that it would be for audio and not text. Despite the restrictions involved in playing back audio files, users of media devices may wish to change the audio output of audio files. A mother, for example, might wish to change the narrator’s voice in a pre-recorded, commercially available audiobook to her own voice, so that her child can listen to the audiobook as narrated in the mother’s voice in her absence. In another scenario, a student listening to a lecture as a podcast file might want to change the audio of certain sections of the lecture to sound like someone else’s voice, so as to emphasize important parts of the lecture. 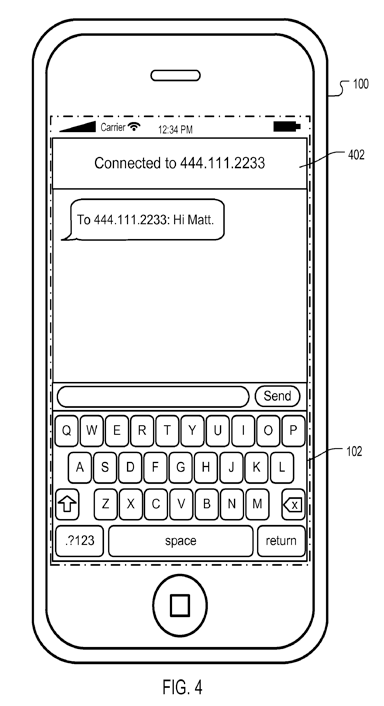 Apple has filed a few changes to the SMS messaging interface. 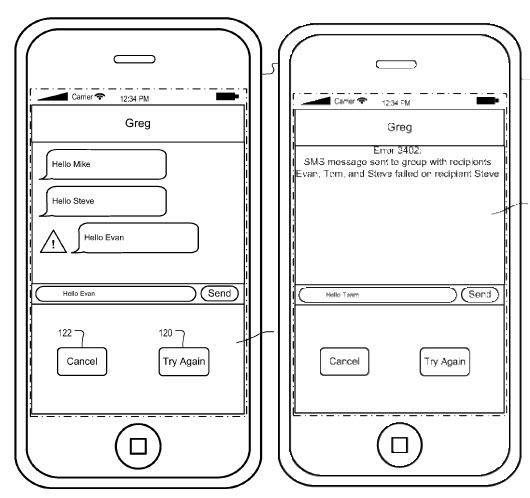 The first, called Multiple Recipient Messaging Service for Mobile Device (# 20090176517), allows sending a message to multiple recipients at once (as shown above), this could be helpful for sending texts to maybe a team of people. Apple suggest that the app to check the status of the messages after a certain interval of time to see if they were received. 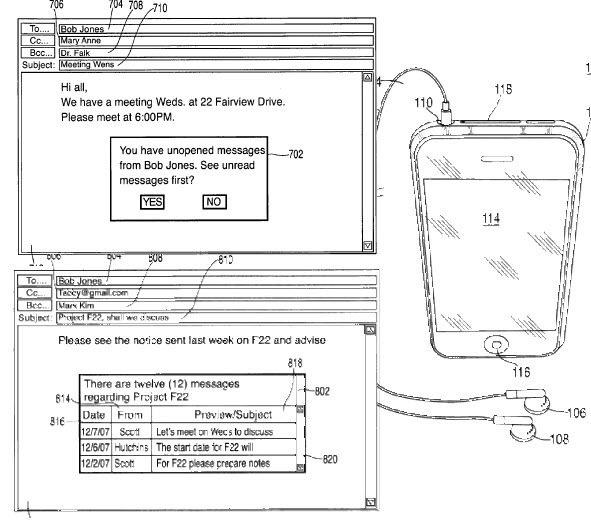 If some of the messages weren’t received, it offers an interface in which the sender could easily resend the message to those who didn’t receive it, and also giving the user the option to send it through a different medium such as email. 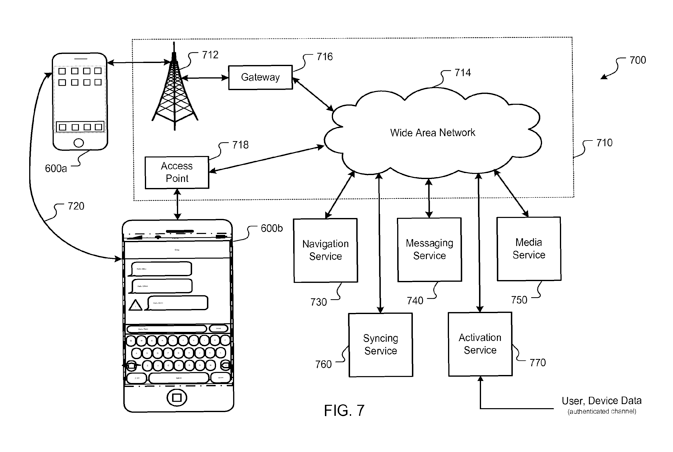 The other patent application, called Systems, methods and apparatus for providing unread message alerts (# 20090177617), suggests way that make it easier for the user to read unread messages. For example, it suggests checking to see if someone you are about to contact has sent you a message you haven’t, it gives the user a way of viewing the message before contracting them. 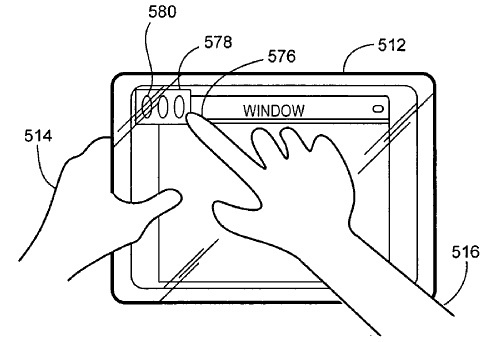 It would cross-check unread emails, SMS messages, voicemails etc. for that contact. 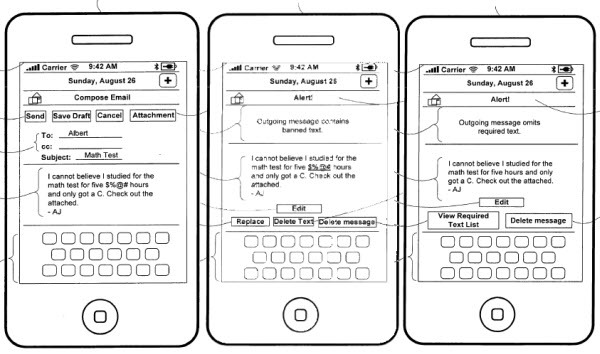 This patent explains the different ways the iPhone could filter text based communications in your iPhone. 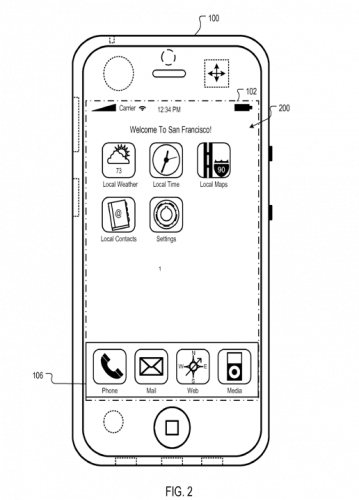 Apple says the main use for this is, to censor objectionable text like swear words in email for children, or to help someone learn a foreign language by forcing someone to send emails in that language. …control application includes an instructional tool or study aid where the administrator sets one or more modes, such as language, vocabulary, grammar, spelling, punctuation and/or other content of a text-based communication based on, for example, a user’s age or grade level. This can be especially useful, for example, such as when a child’s grades go down. A parent can then institute a condition to improve a child’s grades. 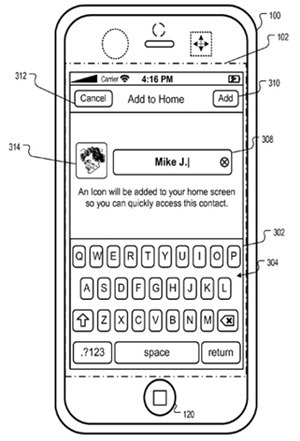 For example, the control application may require a user during specified time periods to send messages in a designated foreign language, to include certain designated vocabulary words, or to use proper designated spelling, designated grammar and designated punctuation and like designated language forms based on the user’s defined skill level and/or designated language skill rating. If the text-based communication fails to include the required language or format, the control application may alert the user and/or the administrator/parent of the absence of such text.